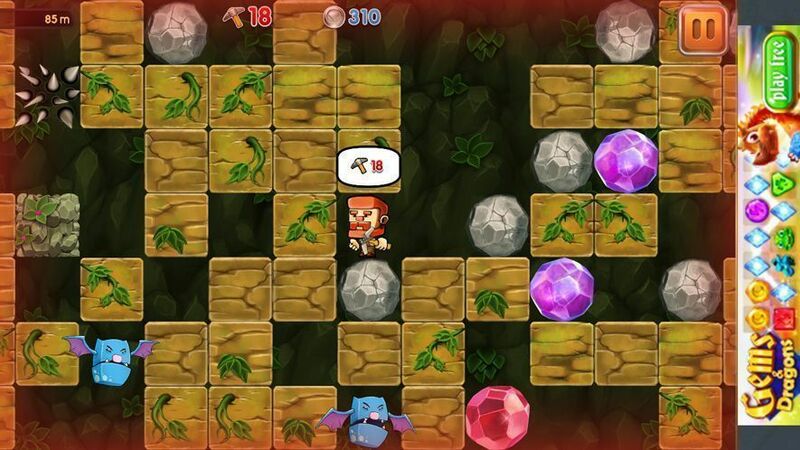 Home › Blog › Dig your way to the treasure on Android with Dig Out! Dig your way to the treasure on Android with Dig Out! Though it seems strange, excavation games make up quite a populated genre. Perhaps the most represe ntative title of them all is Spelunky, the gem from Derek Yu that’s brought new life to excavation gaming. Dig Out! 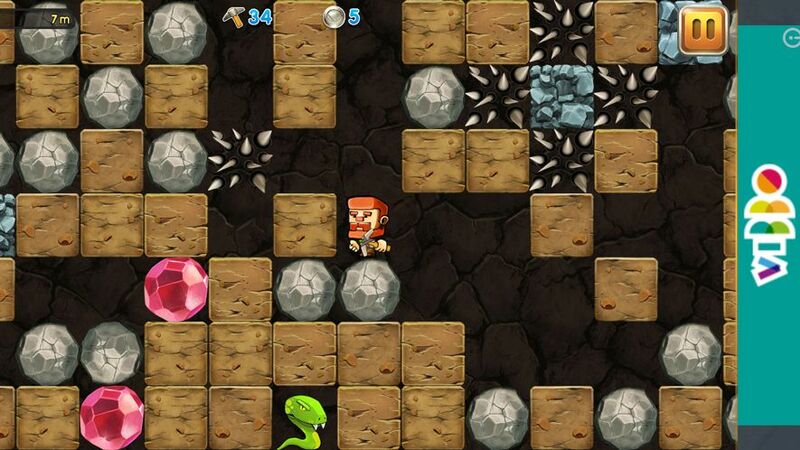 is yet another Android adventure where you excavate and find treasures. The game is tons of fun and will make you rethink what you’ve imagined about this kind of game. Dig Out! 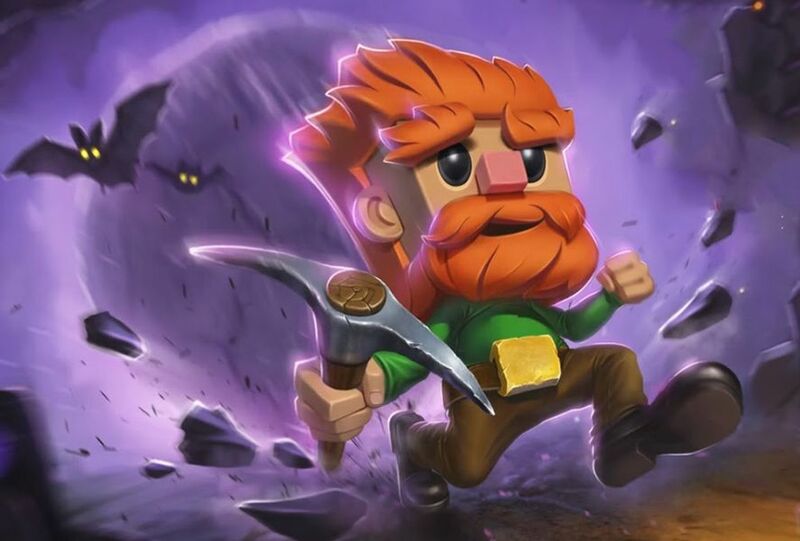 puts you in the skin of a peculiar little miner who’s trying to get as much treasure as possible while dig, dig, digging. The controls are intuitive: slide your finger in any direction to make your character move into the corresponding box. You can do this anywhere on the horizontally-oriented screen. The key to the game is that whenever you move in a direction and find a block occupying the spot, you’ll use up one of your actions. The main aim involves getting as much treasure as you can in each game while using as few actions as possible. When your counter gets down to 0, you’ll perish on your mission. But that’s actually no problem, as you’ll simply return to the top area where you can spend the resources you’ve earned on new picks that give you more actions per game. And so on and on as you dig further and further down. But it’s not just happy digging all the live-long day – dangers lurk behind every rock. Not only will there be enemies trying to chase you, but the rocks, spikes, and other natural elements also poseproblems. Still, if you can get your enemies squashed by the rocks or skewered by the spikes you’ll get rewards to keep upgrading your pick. Dig Out! is something like a disguised puzzle game. It will make you go round and round till you find the simplest path to dig through – that is, the one that makes you spend the fewest actions. But the lower you go, the more surprises you’ll find since the game is divided into several different zones, each with its own peculiarities. For example, in the second zone there are lots of blocks that take two actions to get through. We’re looking at a fun game with more substance that it might first appear. You can’t just go around digging like a madman, as then your games will end lickety-split. Plus, the more you play, the more additions – like new characters – you’ll manage to discover. A proper surprise from the Android catalogue.